Summer Living is online now. It's packed with stylish new ideas for your home and garden, and with 800 new products and over 1700 items reduced there's something to suit every pocket. Get fit for summer with out fantastic range of fitness equipment. 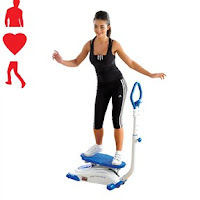 This Body Sculpture Magic Surfer is a fun and innovative way to exercise and is only £179.99 including delivery.